Rafael Payare kicks off the New Year conducting the Vienna Philharmonic on the 17 and 18 January at the Musikverein and the 20 January at the Théâtre des Champs Elysées. Originally due to be conducted by the late Lorin Maazel, the programme will include Maazel’s ‘The Giving Tree’ narrated by his wife, Dietlinde Maazel, as well as Strauss’ Don Juan and Tchaikovsky’s Symphony No 4. These concerts will mark Payare’s debut with the Orchestra. Having recently launched his first season as Chief Conductor of the Ulster Orchestra, Rafael will continue his Tchaikovsky cycle with them on the 23 January 2015 with a performance of Tchaikovsky Symphony No 2. Other highlights of 2014-15 include debuts with the Munich Philharmonic, Seoul Philharmonic, Danish National Symphony Orchestra and his opera debut at the Royal Swedish Opera conducting ‘Madame Butterfly’. 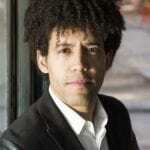 Payare was also recently named Principal Conductor of the Castleton Festival in Washington DC.